Maternal mortality reflects both deaths during childbirth as well as what happens after childbirth. This means that health issues related to postpartum depression, infection or hypertension are included. However, the report included deaths from up to a year after birth, which then allowed other issues, such as homicide, to be factored in. This women’s health crisis is amplified by the fact that the study found the causes of death were largely preventable. Dr. Lisa Hollier of Texas' Maternal Mortality and Morbidity Task Force told NPR that the three leading causes were heart problems or cardiac arrest, overdose of prescription drugs and in third were hypertensive disorders of pregnancy, including preeclampsia and eclampsia. Postpartum depression is an issue rarely discussed in the US, particularly before the famous Andrea Yates murder of her six children that was believed to be the result of a postpartum-induced psychosis. In a separate study, the Maternal Mortality and Morbidity Task Force found that 5.3 percent of these deaths were caused by suicide. Task force members noted that they found several cases where social workers or caregivers would have identified warning signs of impending mental health issues, the Texas Tribune reported. Nancy Sheppard, a task force member, told Mother Jones: "A lot of time the drugs are being used to self-medicate because [mothers] cannot get mental health treatment." But why are women dying in Texas? Saade pointed out that there is little consistency in reporting maternal deaths between different states. “It’s clear that maternal mortality is going up every year all over the United States, not just Texas,” Saade said. Race also seems to impact the rate of mortality. Black women are disproportionately affected by maternal mortality. The study found that while they account for 11.4 percent of births in Texas, they make up 28.8 of pregnancy-related deaths. "The disparity in the rates for African American women is incredibly important and not widely recognized," Hollier told Mother Jones. Latinas represent almost half of those giving birth in Texas and made up 30.8 percent of maternal deaths. These rates reflect a lot of difficult issues in Texas. The study found that the majority of deaths occur six or more weeks after delivery. Over 400,000 mothers use Medicaid for their birth related needs, but the benefits for mothers expire after 60 days, meaning that women’s access to healthcare grows increasingly limited. Texas has rejected Medicaid expansions from Obamacare, despite being home to the largest number of uninsured people. "If a person had been in regular care, maybe those cardiovascular [problems] would have been identified.” June Hanke, a member of the task force, told Mother Jones. "If you need medication, can you really afford it? Do you even know your blood pressure is high?" Another point is that in 2011, the Texas State Legislature cut $73.6 million from the family planning budget and forced family planning clinics to reduce their patient services by half. It is during this time that the study noticed an uptick in maternal mortality, from about 18.6 deaths per 100,000 births in 2010 to about 33 deaths per 100,000 births in 2012. 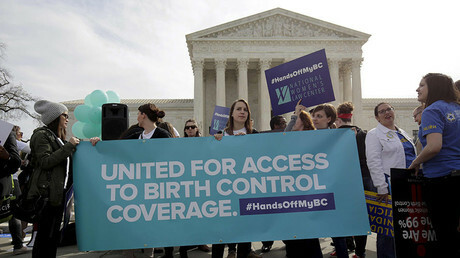 Some analysts question the connection between the loss of funding for healthcare targeted to low-income women, because the rate had already been on the rise prior to the cuts. But the study noted that the increase was strange "in the absence of war, natural disaster, or severe economic upheaval." 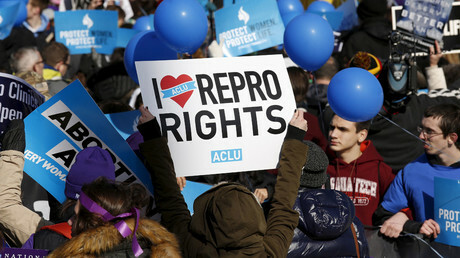 In addition, Roe vs. Wade was decided in 1973, which made abortion legal. From 1969 until 1973, the rate of maternal deaths was at about 30 per 100,000. After 1973, the rate did not exceed 20 percent until 2004, when the study reported the maternal mortality rate to be 20.3 per 100,000. However, it remains to be seen whether Texas will rise to the occasion. 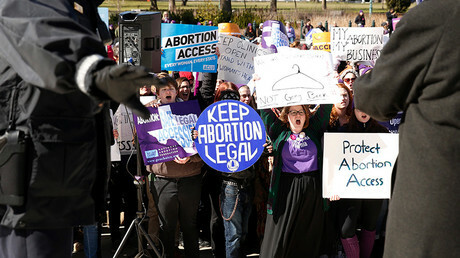 The Heidi Group received $1.6 million in state funding from the Healthy Texas Women program, despite it being a group with no medical experience led by pro-life activist Carol Everett, who also has no medical experience and claimed that emergency birth control is “destructive to a woman’s reproductive system,” the Nation reported.